From the Emerald Necklace to the Freedom Trail Sites, Boston's green spaces are revered by tourists and locals alike. The Landscape Architect's Guide to Boston, launched today by the American Society of Landscape Architects (ASLA), offers insider information about these designed landscapes and others you may not have heard of. It is located at www.asla.org/boston. Twelve million people visit Boston annually, but most of those visitors possess only a rudimentary knowledge of the city's landscapes and restrict their travel to the well-established tourist routes. With a tap of their smartphones, people can deepen their knowledge through expert commentary and more than 1,100 photos provided by 28 landscape architects. Thomas R. Tavella, FASLA, president of ASLA, says that the guide is the first-ever website that describes 100 historic, modern and contemporary landscapes in Boston, Cambridge and Brookline-and explains why they captivate. It highlights historic monuments and parks and examples of new sustainable works-including Raymond V. Mellone Park, a cutting-edge park that also manages stormwater, and Condor Street Urban Wild, which caps toxic soils to create a new wildlife habitat and urban respite. "This guide will answer questions you didn't know you had about your favorite neighborhood parks and other landscapes," says Tavella. 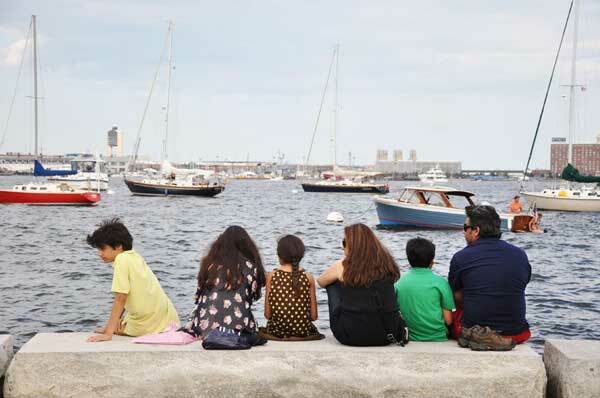 "Boston's vibrant public realm didn't just magically appear but was carefully designed over the years, and is continually evolving, through interactions among elected leaders, communities and landscape architects." The guide was created by ASLA in partnership with 28 nationally recognized landscape architects, all of whom are designers of the public realm and leaders in sustainable design. The guides were asked to explain the sites from a landscape architect's point of view and show how the design of these sites influences how people interact with or even feel about these places. Media wishing to interview the guides or learn more about the website should contact Karen Grajales, public relations manager, at ktgrajales@asla.org or (202) 216-2371. Images are available here. Please refer to the image titles for credit information. The Boston guide is the second produced by ASLA. The Landscape Architect's Guide to Washington, D.C. was launched last year and so far has received more than 100,000 page views. Founded in 1899, the American Society of Landscape Architects (ASLA) is the national professional association for landscape architects, representing more than 15,000 members in 49 professional chapters and 76 student chapters. The Society's mission is to lead, to educate and to participate in the careful stewardship, wise planning and artful design of our cultural and natural environments. Members of the Society use the "ASLA" suffix after their names to denote membership and their commitment to the highest ethical standards of the profession.